A tornado appears as a rotating, funnel-shaped cloud that extends from a thunderstorm to the ground with whirling winds that can reach 300 miles per hour. Damage paths can be in excess of one mile wide and 50 miles long. Some tornadoes are clearly visible, while rain or nearby low-hanging clouds obscure others. Occasionally, tornadoes develop so rapidly that little, if any, advance warning is possible. Tornadoes cause an average of 70 fatalities and 1,500 injuries in the U.S. each year. Tornadoes can be more than one mile wide and stay on the ground for over 50 miles. “Tornado Alley” is a nickname given to an area in the southern plains of the central U.S. that consistently experiences a high frequency of tornadoes each year. Tornadoes in this region typically happen in late spring and occasionally the early fall. Remember when movies and news reports talked about “F3 tornadoes” or “F5 tornadoes”? That’s the Fujita Scale, devised by Dr. T. Theodore Fujita of the University of Chicago in 1971. For almost forty years, scientists rated tornado windspeed on the F0-F5 scale based on the damage caused by a tornado. But the devastating tornadoes in Jarrell, TX in 1997 and Moore/Oklahoma City in 1999 demonstrated to many engineers, emergency managers and meteorologists that there were flaws in the original Fujita system. In 2006, the National Weather Service unveiled the Enhanced Fujita Tornado Scale based on four years of research. In 2007, the EF-scale replaced the original F-scale in all tornado damage surveys in the United States. Overall, most tornadoes (around 77 percent) in the U.S. are considered weak (EF0 or EF1) and about 95 percent of all U.S. tornadoes are below EF3 intensity. The remaining small percentage of tornadoes are categorized as violent (EF3 and above). Of these violent twisters, only a few (0.1 percent of all tornadoes) achieve EF5 status, with estimated winds over 200 mph and nearly complete destruction. However, given that on average over 1,000 tornadoes hit the U.S. each year, this means that 20 of these can be expected to be violent and one could possibly be incredible (EF5). In the late afternoon of May 22, 2011, an EF5 multiple-vortex tornado struck Joplin, Mo. Reaching a maximum width of over one mile and with winds peaking at 250 mph, the tornado destroyed or damaged virtually everything in a six-mile path. The devastating tornado claimed 161 lives, making it one of the single deadliest U.S. twisters since 1953. The Joplin tornado was only the second EF5 tornado to strike Missouri since 1950. It was the seventh-deadliest tornado in U.S. history and the 27th-deadliest in world history. Immediately following the disaster, emergency responders began search and rescue efforts, and the Missouri State Highway Patrol sent dozens of troopers to the area. That same night, Gov. Jay Nixon deployed Missouri National Guard Citizen-Soldiers to Joplin. 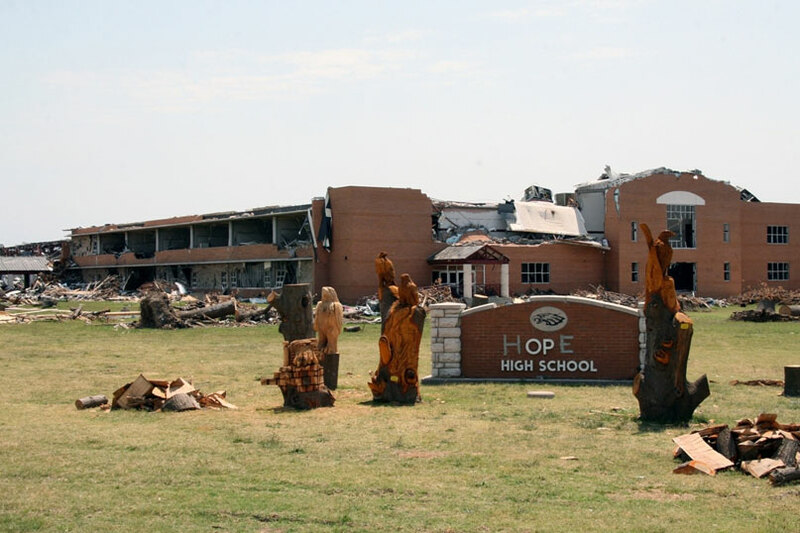 At 5:41 p.m. on May 22, 2011, a massive EF-5 tornado ripped through Joplin, destroying or damaging 8,000 homes and buildings and claiming 161 lives. On Sept. 29, 1927, an EF4 tornado tore through downtown St. Louis, destroying more than 200 city blocks. There were 79 fatalities and 550 injuries, and it ranks as the 25th-deadliest tornado in the United States. On the afternoon of May 9, 1927, a tornado struck Poplar Bluff, destroying many buildings downtown. Ninety-eight people were killed, making it one of the deadliest on record. The Tri-State Tornado of March 18, 1925 was the deadliest single tornado in U.S. history, killing 689 people in Missouri, Illinois and Indiana. The tornado caused devastating damage over three-and-a-half hours while traveling along its 219-mile long track. This tornado also was the third-fastest tornado on record, traveling at nearly 60 miles per hour. A devastating tornado moved through St. Louis and East St. Louis, Ill. on May 27, 1896, killing approximately 255 people and injuring more than 1,000 others. The tornado was responsible for at least $10 million in damage and is ranked as the third-deadliest tornado in United States history. On April 18, 1880, Missouri was struck by numerous tornadoes statewide, killing a total of 151 people. The most devastating damage was in Marshfield, where nearly every building was destroyed or significantly damaged and 99 people lost their lives.